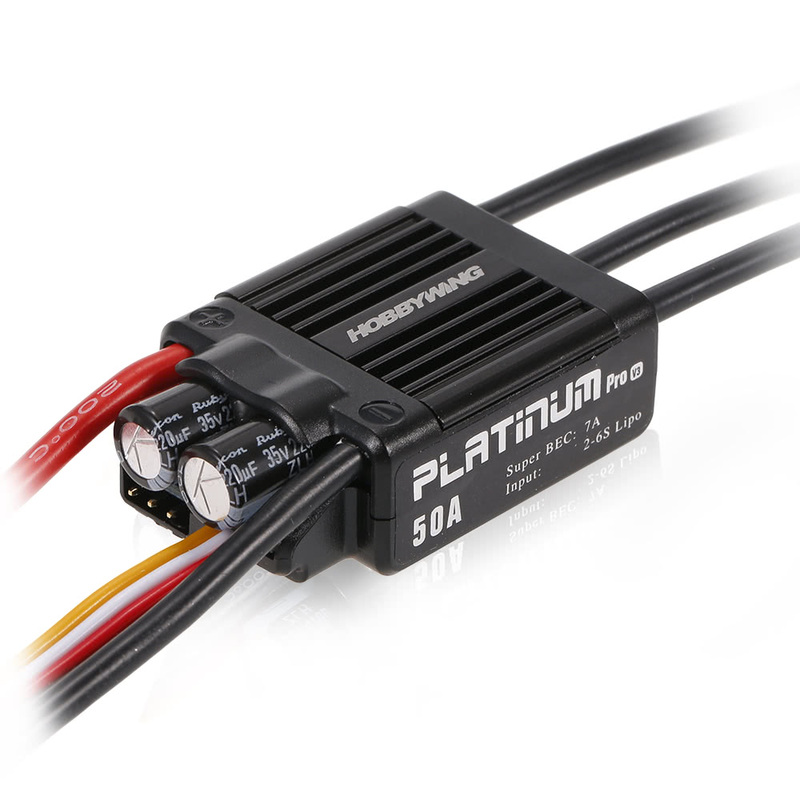 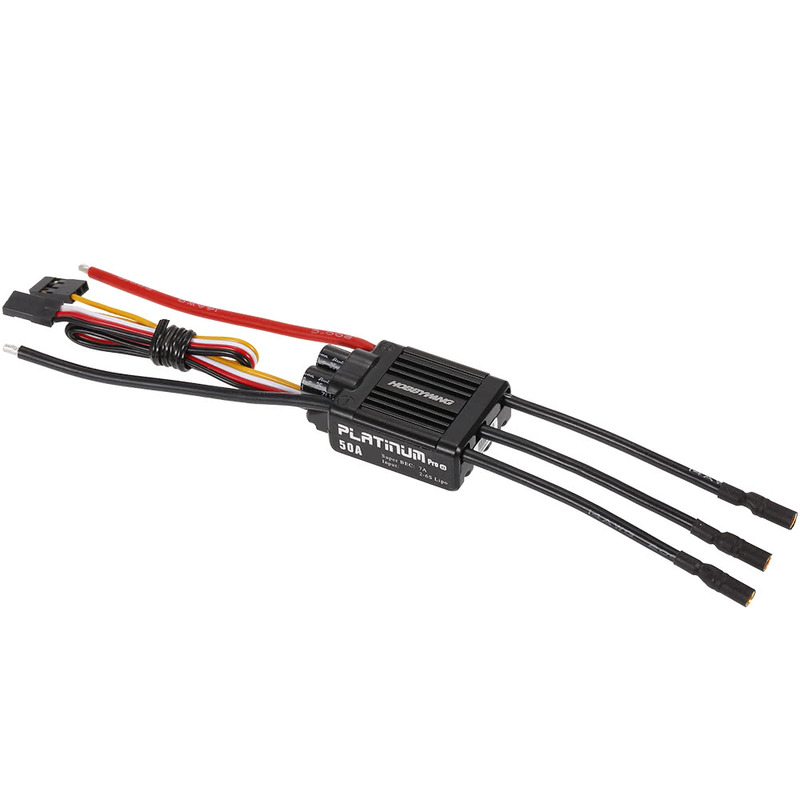 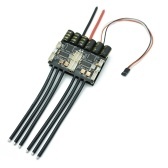 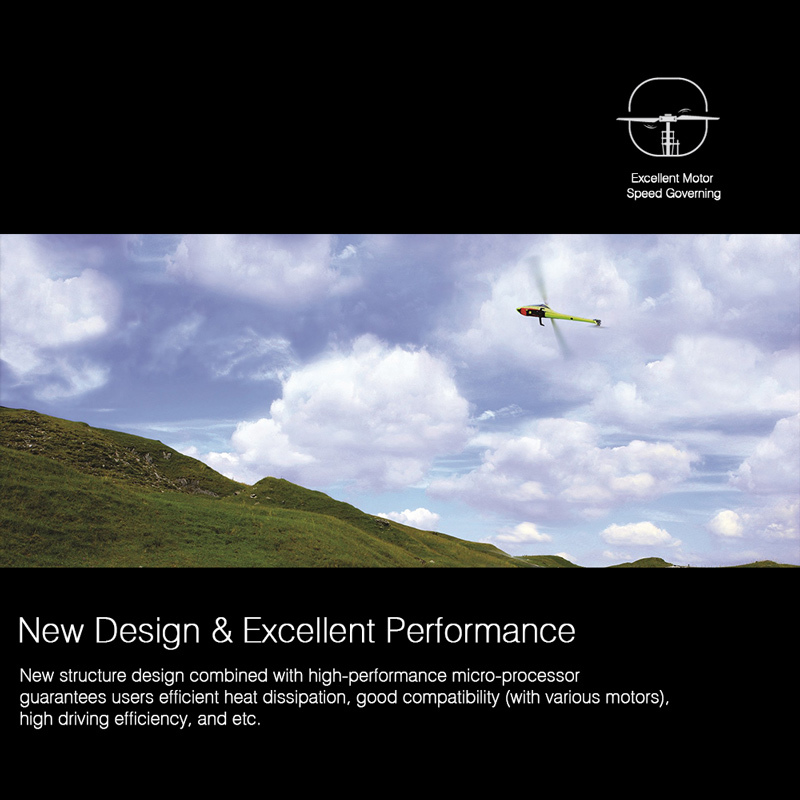 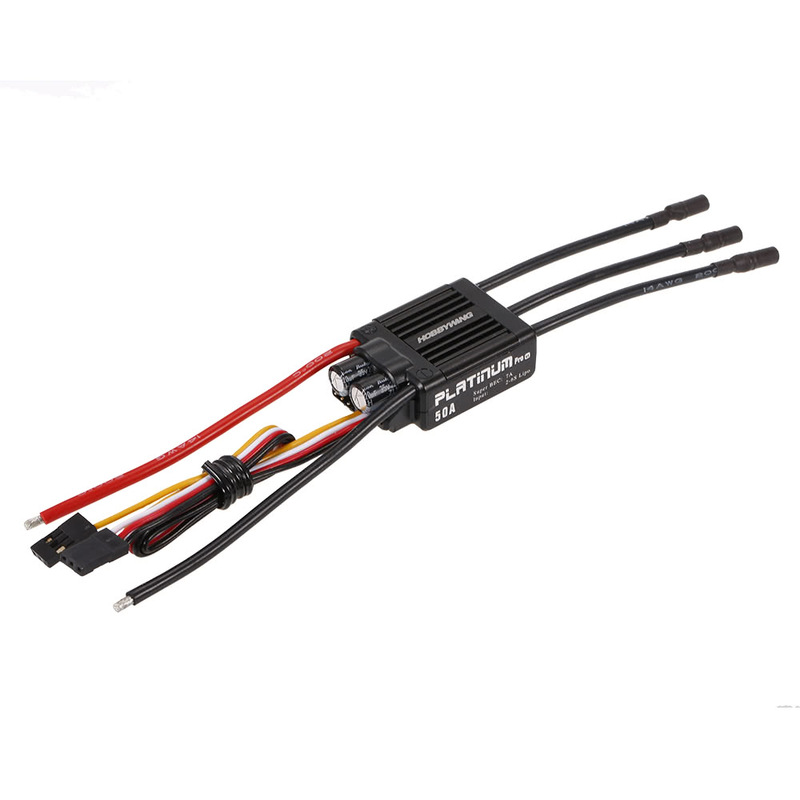 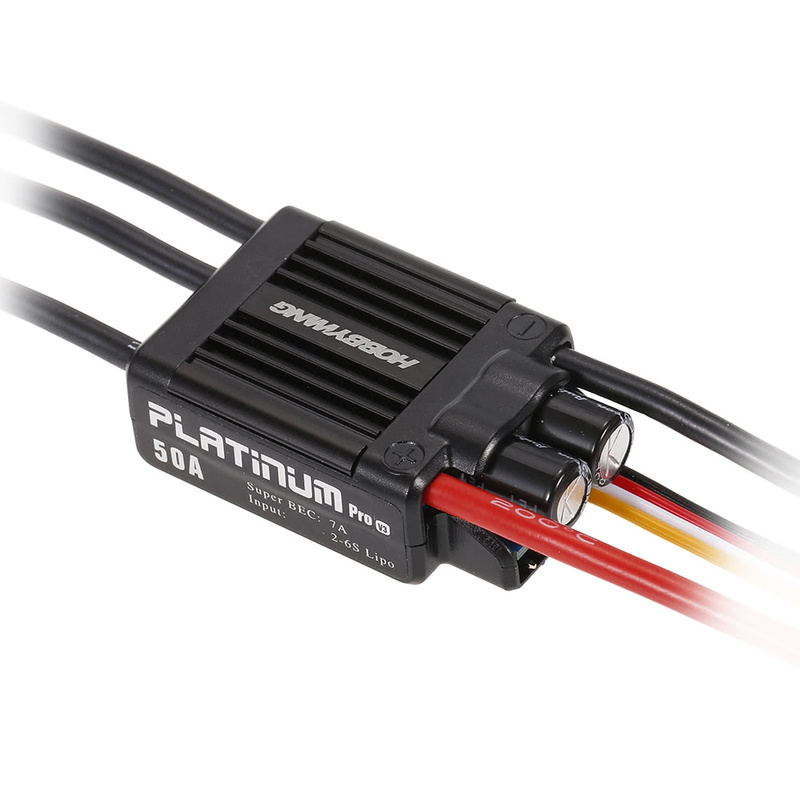 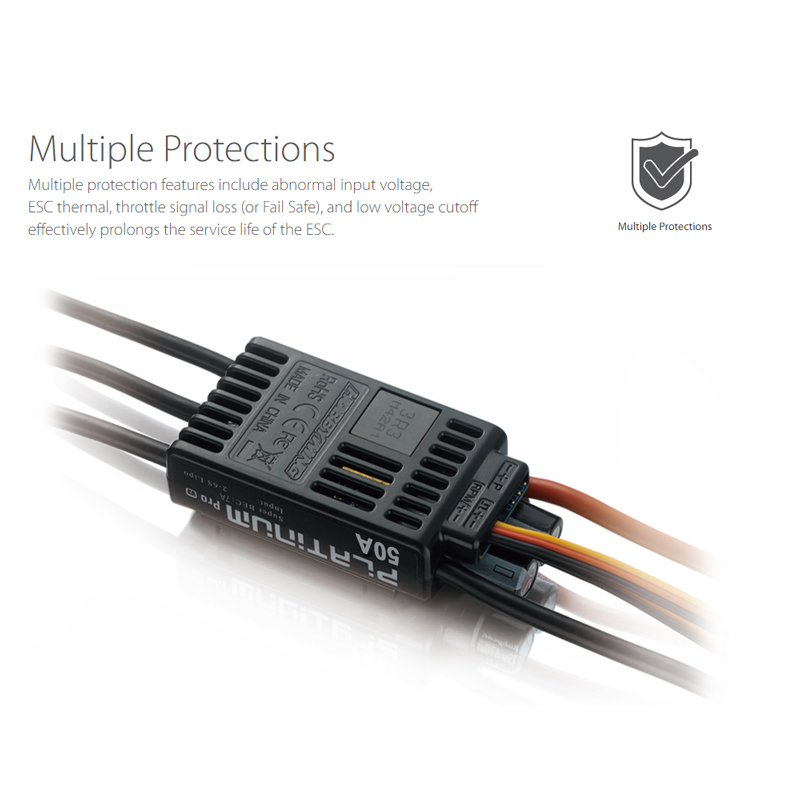 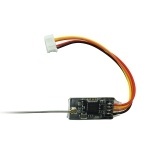 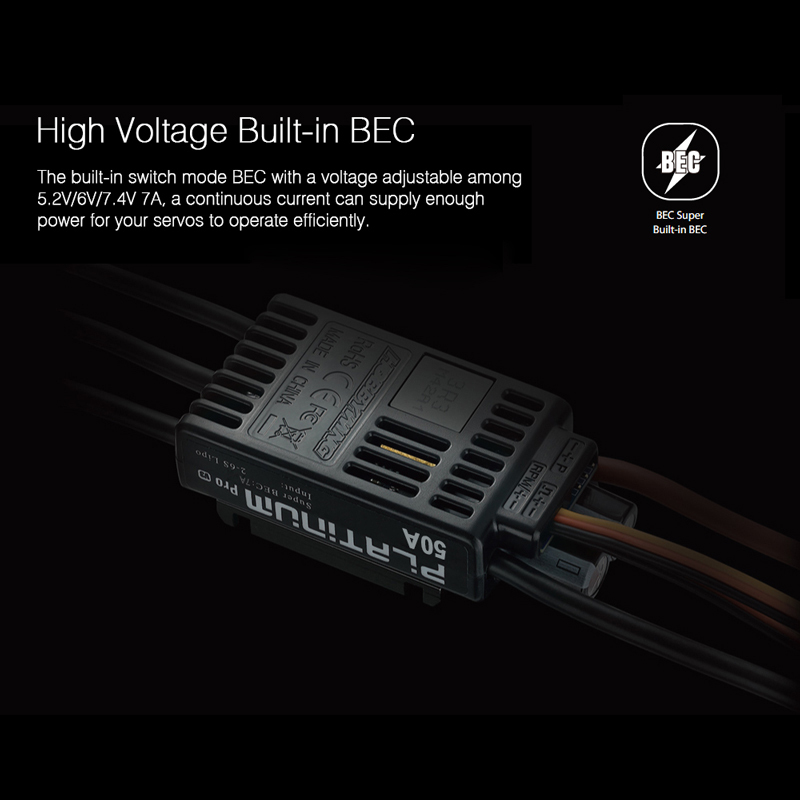 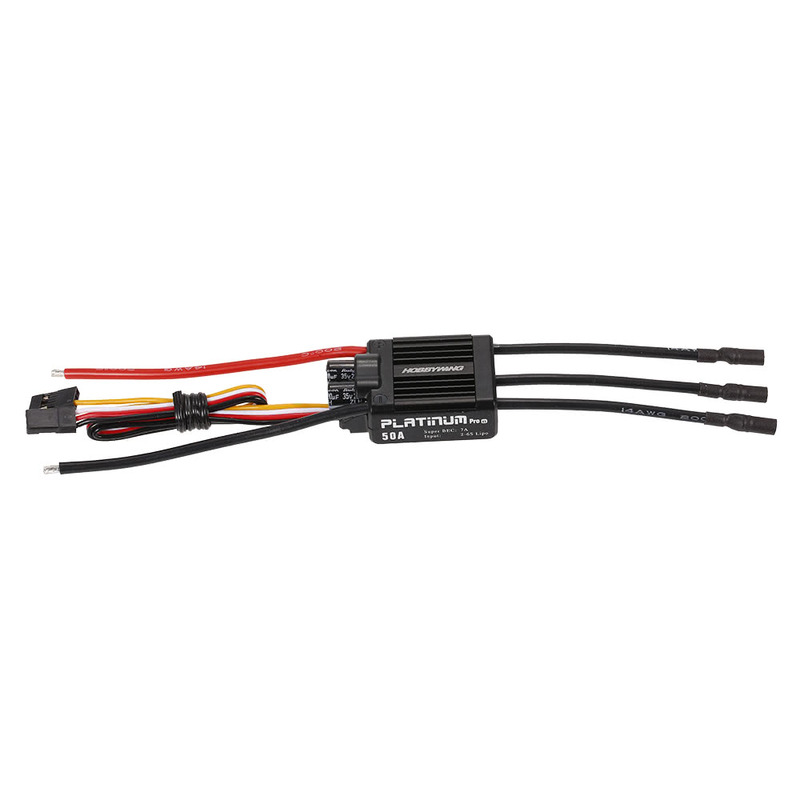 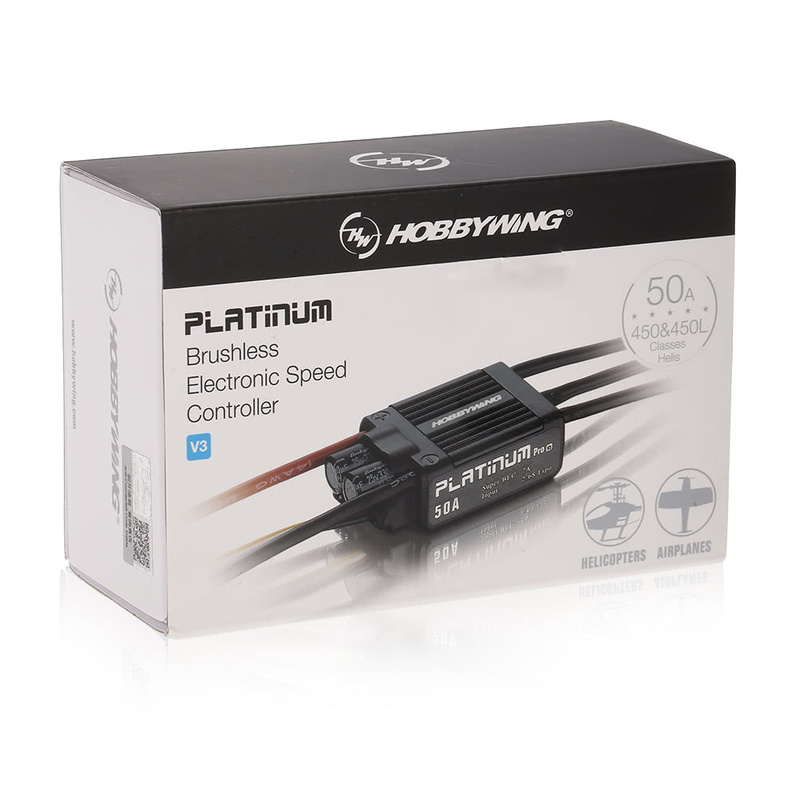 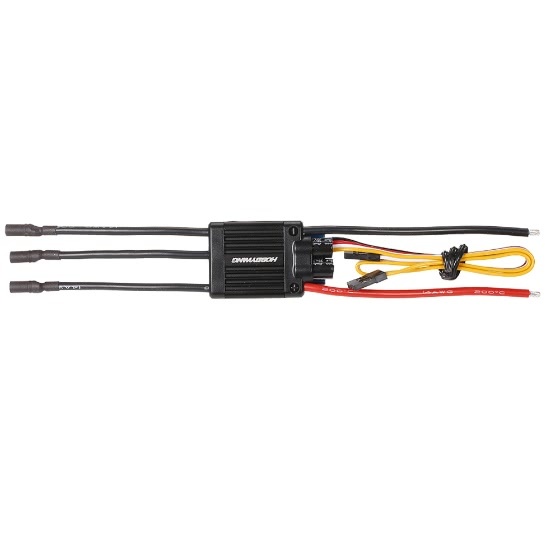 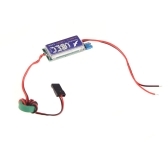 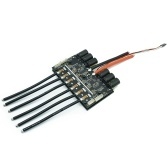 Platinum series 50A brushless ESC features high performance, high-quality components and impressive craftsmanship. 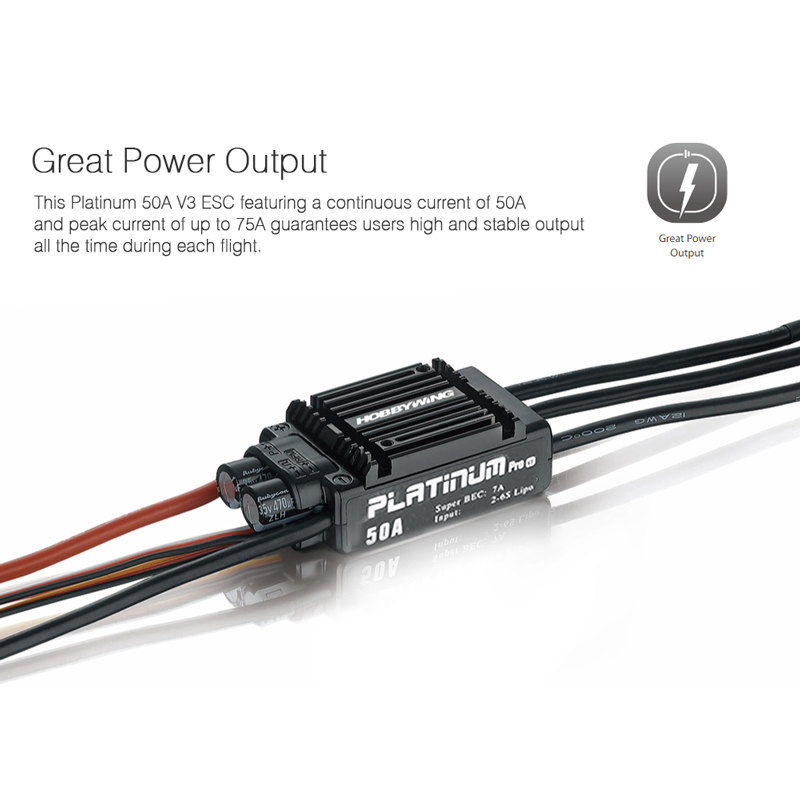 It is the best choice for beginners. 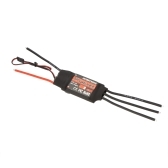 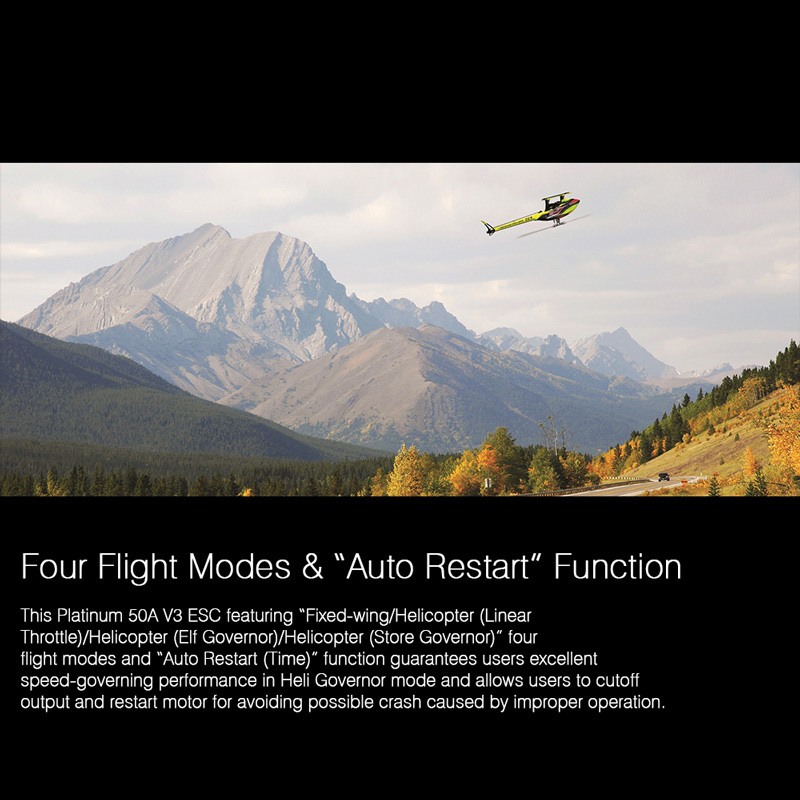 Because different transmitter has different throttle range, please calibrate throttle range before flying.